Enjoy the best inspirational, motivational, positive, funny and famous quotes by Ali Morteza Samsam Bakhtiari. Use words and picture quotations to push forward and inspire you keep going in life! The big risk in Saudi Arabia is that Ghawar's rate of decline increases to an alarming point. 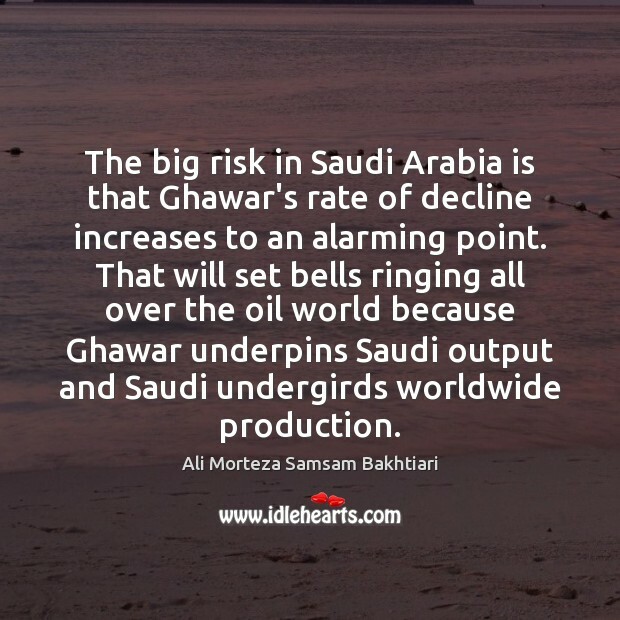 That will set bells ringing all over the oil world because Ghawar underpins Saudi output and Saudi undergirds worldwide production. In my humble opinion, we should now have reached peak oil. 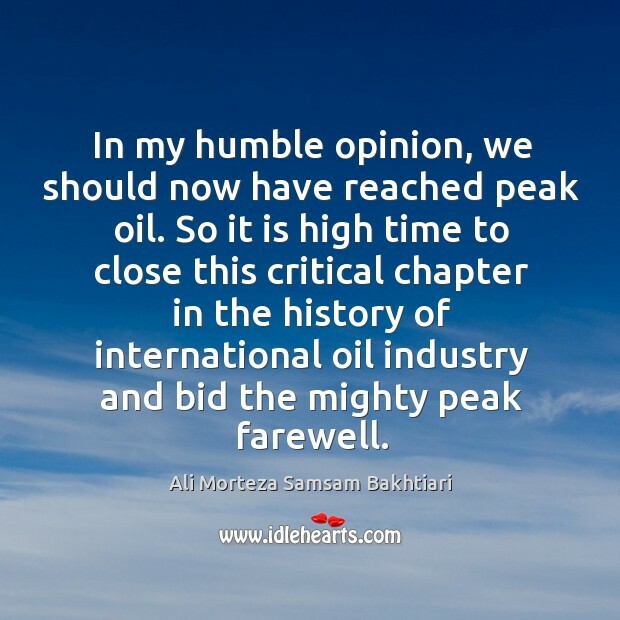 So it is high time to close this critical chapter in the history of international oil industry and bid the mighty peak farewell.